We are THRILLED to announce that Jenna Alexander is heading to Sailors Siren for a pre-holiday book signing party! WHAT: Sailors Siren and FLAMINGO MAGAZINE are hosting an evening to celebrate Jenna’s new book. We’ll sip cocktails, eat striped treats and you can meet the incredible woman behind the book and art series and get your book signed! ATTIRE: We encourage you to wear your stripes and buns for the occasion! I would like to purchase Stripes & Buns from Jenna at the event. Cost is $65. Yes, I need a book! I would like to know more about how I get on the list for the VIP meet and greet. Yes, give me the details! Please note that all RSVPs should be submitted individually. Thank you. If you have questions please email Whit at information@sailorssiren.com. If you're coming, please let us know as space is limited. If not, we'll see you next time, no need to fill out the form below. Thank you for RSVP-ing! We'll see you at Sailors Siren on Wednesday, April 11th! We LOVE The Closet! It's been a fantastic fit in the shop as part of our Coastal Collective and our customers all agree. Owner and Founder, Ashley Snyder, will be in the shop on Friday, April 6th from 4-6PM hosting happy hour and showing off new beauties! Stop by to meet the accessories genius curating this gorgeous line, sip and shop! Here's a sneak peek at the new goodies! You're not going to want to miss this one! Last minute shopping? You'll be in the right place! Or, swing through while you're spreading your merrymaking in the Beaches Town Center! 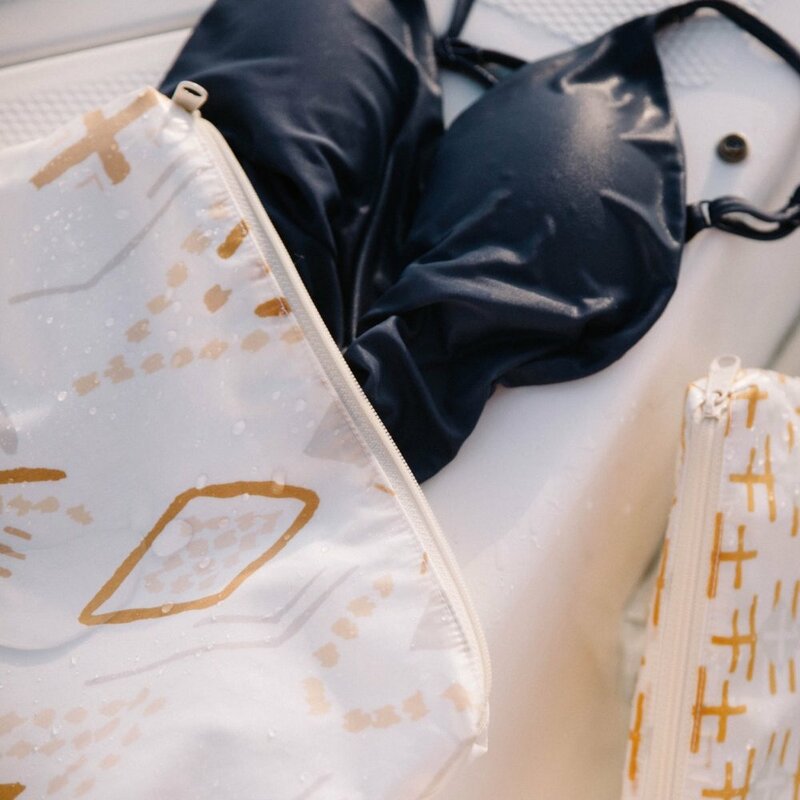 Sailors Siren + Drift will be here with bells on. Literally. We LOVE The Little Flower Bunch! They'll be whipping up holiday bunches for sale in the shop from noon to 3. We'll have bubbles and everyone's favorite, Jayne Dough donuts. On Friday The Little Flower Bunch and Sailors Siren will both release a sneak peak of the holiday bunches that you'll be able to pre-order! Check back here or on our Instagram accounts Friday for how to order. A fun evening, for a great cause! Hope to see you there! The Pop-Up Market is coming back to Tallahassee for a second holiday season! 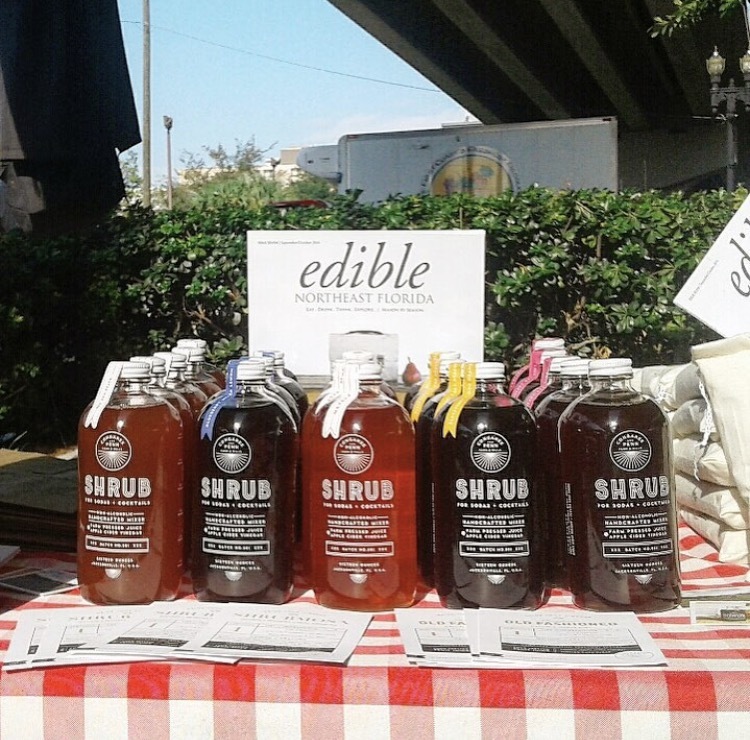 Old favorites and newcomer vendors will "pop-up" for three days just off of Capital Circle NE. This will be a fabulous opportunity to get your Christmas shopping done while supporting small businesses, artists, and local entrepreneurs. We will have a happy hour event on Thursday night from 4-7pm. All are welcome! Our daytime shopping hours will be from 10:00am-4:00pm on December 14th- 16th. doggie themed giveaways, free photos with Santa, and a dog tag etching station. Can't wait to see y'all for three fun-filled days in Tallahassee! Mark your calendars! 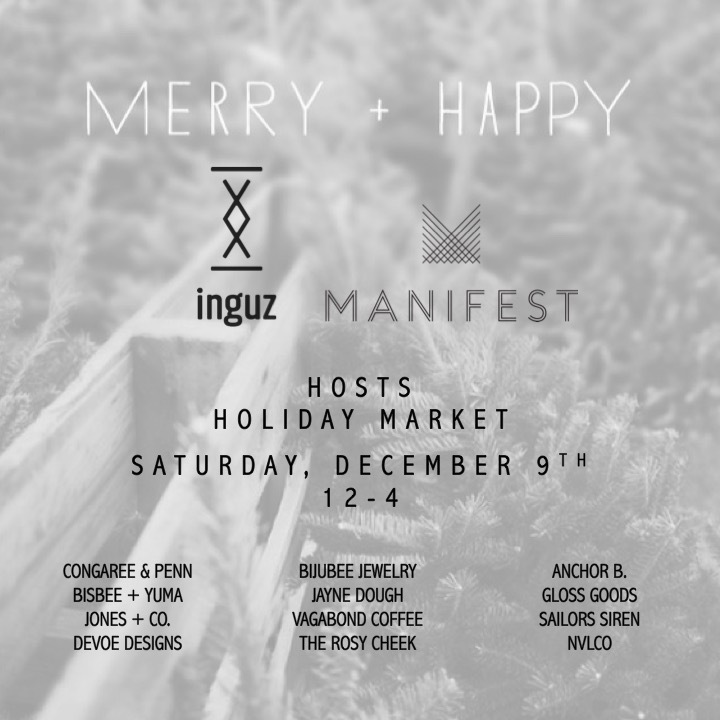 We're heading to the Manifest Holiday Market! The creator of Driftaway Jewelry is just too cute! Come shop her selection of beachy, handmade jewelry in the shop Saturday, November 9th from 11-3! 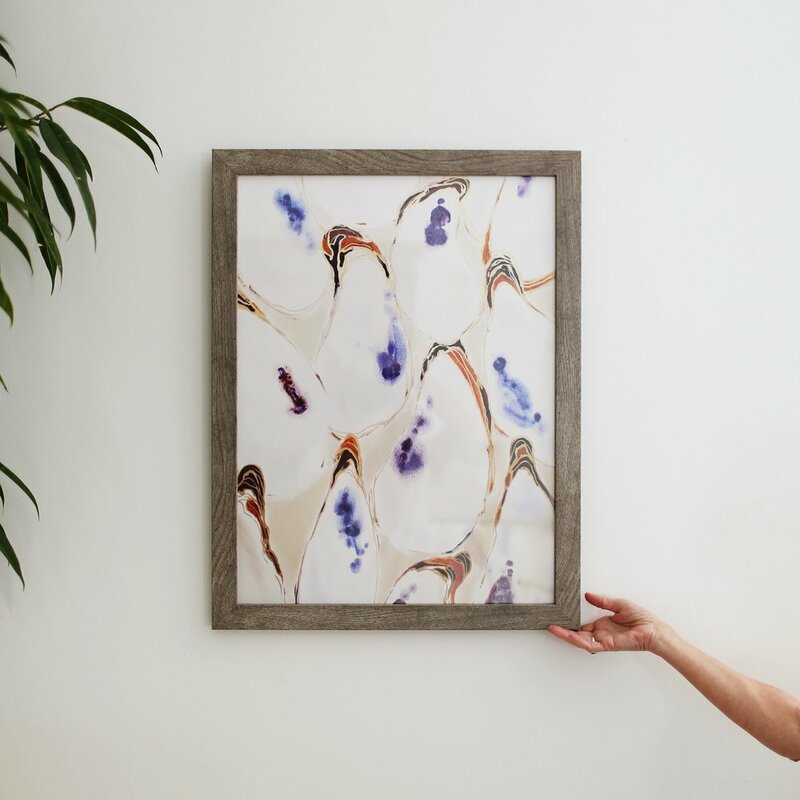 Mera Maps make a great gift for the person who has everything. 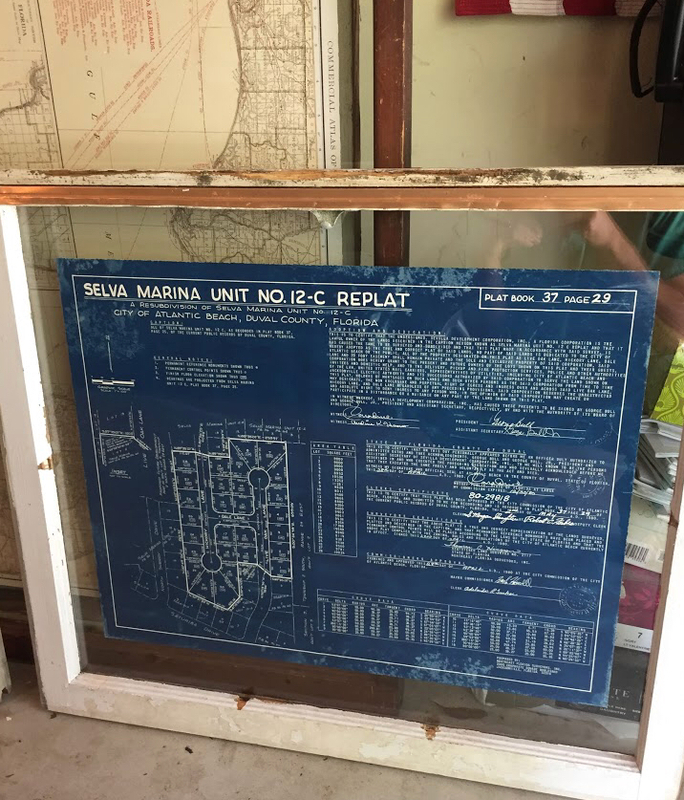 Jay from Mera Maps will have a handful of maps framed and ready to go. He'll also be on site to chat about your custom requests as he does any location, any street! Keep the small business support flowing and shop with local company Arabella Knits, Sunday, November 26 from noon - 4PM! This kicks off of our new holiday hours so come say hello and shop for the holidays! Tuesday, 11/21 (open 11-6) and Wednesday, 11/22 (open 10-4)! Open 9AM-6PM on Black Friday, November 24th! Specific items will be priced to MOVE at up to 70% off! Plus, the early bird gets the worm...or rather the deal! 30% off all purchases* from 9-10AM, 20% off from 10-11AM and 10% off the rest of the day. Saturday, November 25th is Small Business Saturday! We'll be open from 10AM-6PM, showcasing our local Salt Air Goods. 15% off all local goods like Case +Drift and Driftaway Jewelry! And Sunday, November 26th we resume Sunday hours from 12-4. See all our holiday hours in one place here. 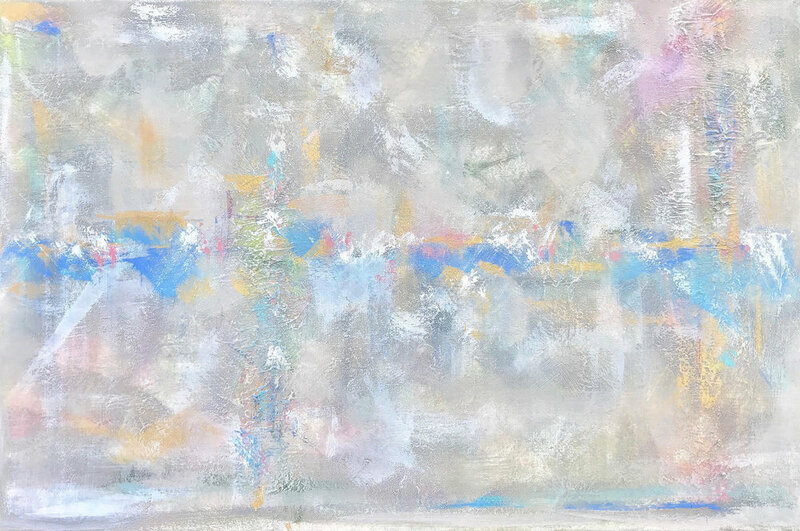 Local artist Maggie Puzey will be selling large canvas originals at flash sale prices to make room in her overflowing studio for her new works! She'll also be releasing new prints while in the shop. Plus, we'll be discounting her 2017 prints that day. If you're a Maggie Puzey fan you're not going to want to miss this opportunity. Join us Saturday, November 4 from 11-5! Join us Thursday, November 2nd from 11-5 to view and shop the gorgeous, hand-crafted line of jewelry and accessories by Sea + Stone Jewelry. 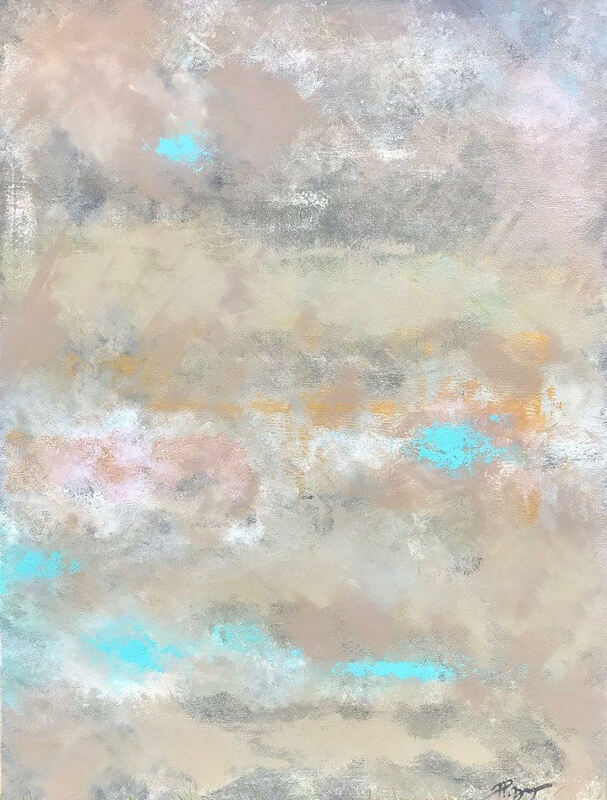 Sea + Stone Jewelry is inspired by colored gemstones and the natural beauty of the Coastal South. Each piece of their jewelry is crafted with meticulous attention to detail and respect for precious materials. 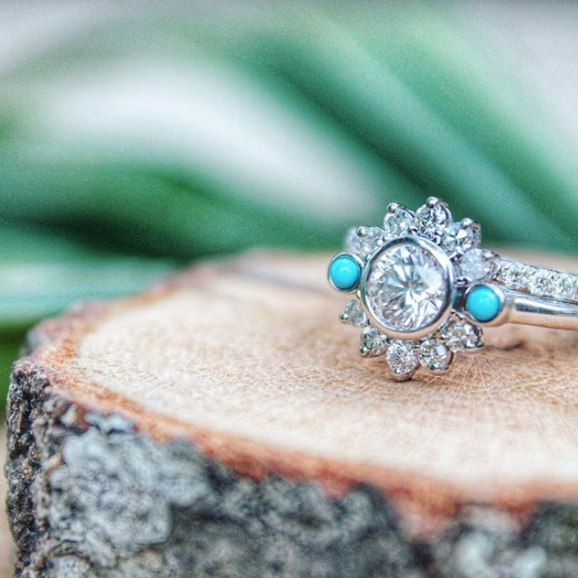 Their mission is to create unique and enduring treasures to be worn and cherished. Sea + Stone is proud to sell unique products that are handcrafted in the USA, designed and fabricated in Southern Pines, NC. We will be hosting a stationery trunk show with WH Hostess: Social Stationery + Entertaining on Friday, August 25th from 4-7pm. Happy hour bubbly + shop for all of your personalized stationery needs with the latest styles from WH Hostess: Social Stationery + Entertaining. Great ideas and new styles in notecards, notepads, gift stickers, holiday cards, invitations, personalized napkins and much more! Come and hang out on Friday, August 18th from 3-6! Local jewelry designer Dowling of Driftaway Jewelry - handmade for drifters and dreamers - and blogger of Drifters + Dreamers will be in the shop! This PV girl has great style and even better jewels! She'll be taking custom orders for her hand stamped bars leading up to and during the event. So email Dowling (dowlingfaith07 AT gmail.com) to get your custom hand stamped piece started. Cost is $24. I had one made and I love it - see below! Her cakes are a thing of beauty. Her Instagram account is a Jax favorite. The daily treats she's serving up as the nosh maker of Brew Fives Points are straight delicious. 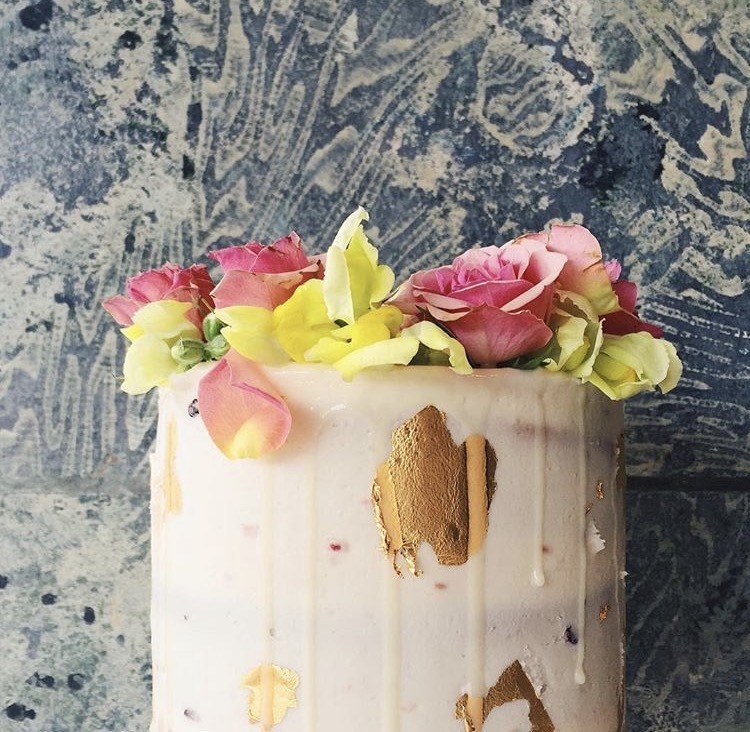 And BAKES, the first cookbook by Calli Marie, is as gorgeous as it is straightforward and attainable for the average baker. Come meet Calli and pick up her book Saturday, May 27th from 2-6PM in the shop. Her book deserves it's own spot in your kitchen, but also makes a great gift for anyone who loves to bake, or look at beautiful images of things other people have baked! To help us celebrate our brick and mortar shop turning one(!!! 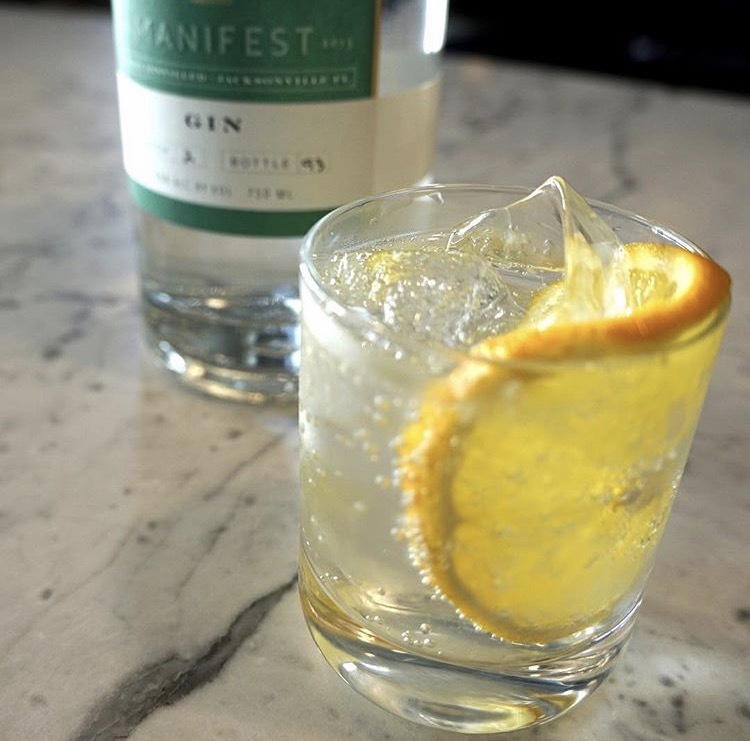 ), Manifest Distilling and Congaree and Penn are coming out to host an in-shop evening of cocktails! They'll be shaking up, serving and showing you how to make delicious summer concoctions with their insanely delicious liquor and shrub mix. Space is limited so reserve your spot by RSVP'ing today. It's always a party with this crowd - see Scott of Congaree and Penn behind the bar at our last event! And we're so excited to get the awesome couple behind Manifest in on the action. It's hands down the best booze to come out of Jax, which might explain why they're picking up awards left and right! 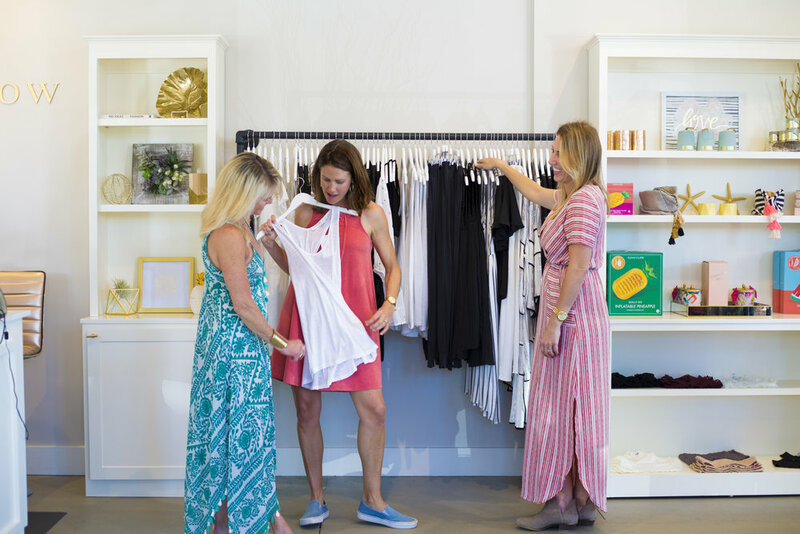 Whether Coming In From Out Of Town Or Just Getting Out And About Locally To Enjoy The Fun Week That Is TPC In Jacksonville, Your favorite spots in the Beaches Town Center have teamed up to help you make the most of the week. Plus, We've Got A Guide For Where To Shop, Stay And Play When Hitting Jacksonville's Beaches. Staying at Hotel Palms? Show Sailors Siren and Fig & Willow your room key to receive 10% off your entire purchase! Hotel Palms will offer Sailors Siren and Fig & Willow customers 2 for 1 Raging Blondes (from Veterans United Craft Brewery) with presentation of a receipt from either location. and get 10% off your purchase at Sailors Siren! 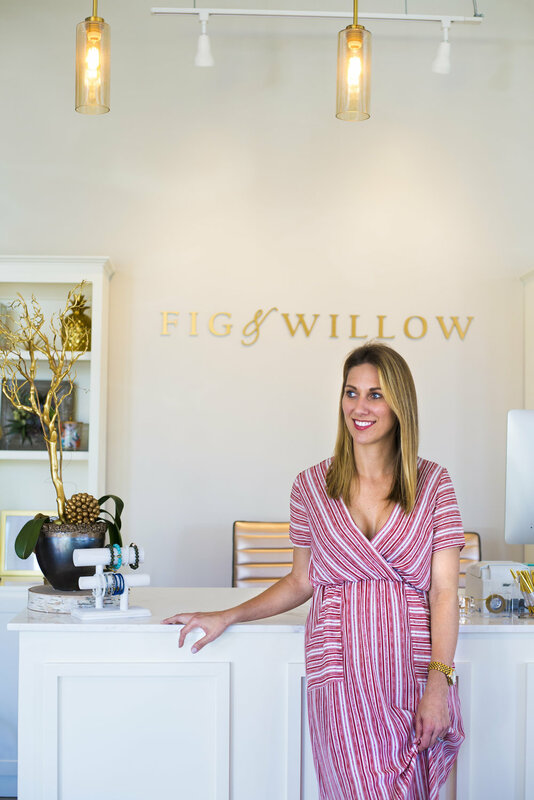 and get 10% off your purchase at Fig & Willow! There are so many amazing spots at the beach to shop, stay and play! We hope you get a chance to check them all out! We found our foul mouthed spirit animal when we found local maker Near Modern Disaster. Join us Saturday, May 6th from Noon-4PM as we introduce you to Near Modern Disaster's line of cards that we'll be carrying in the shop. 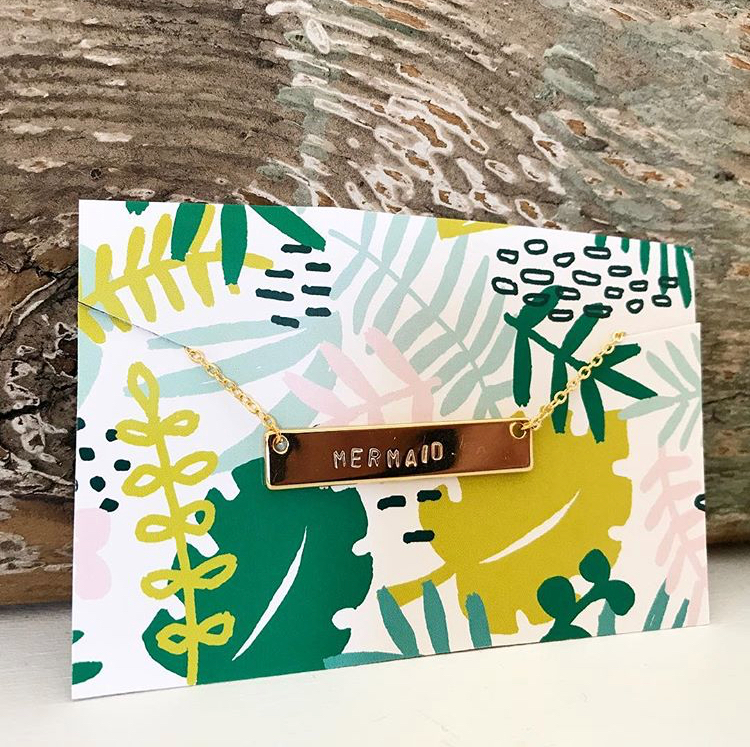 We love finding new, local makers and this one as at the top of our list this Spring! 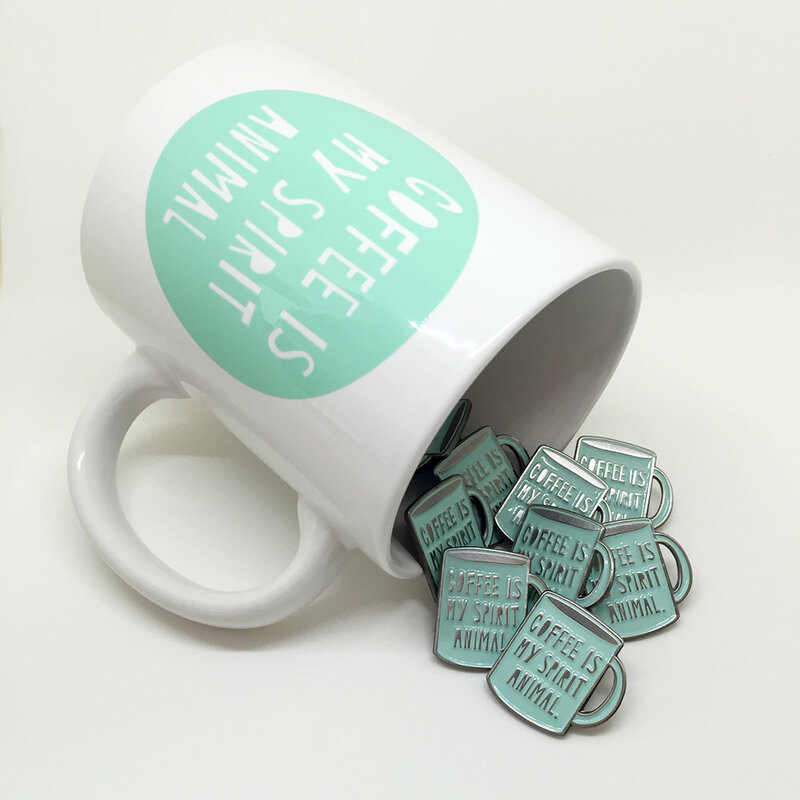 You can also shop her Mother's Day cards, coffee mugs, pins and more while she pops up. 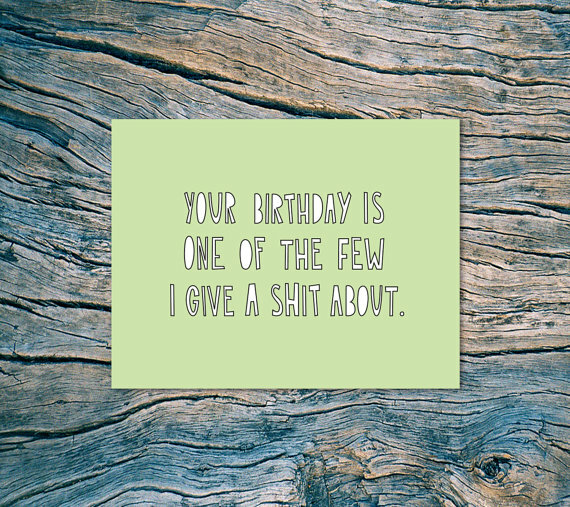 You know it will be a party, so swing by to meet the maker and stock up on foul-mouthed cards for mom, upcoming weddings, birthdays and more. Plus, the shop girls of Sailors Siren will be on hand to help you find the perfect gift for mom. Whether she's the hostess with the mostess, a new mom celebrating her first Mother's Day, the on-the-go mom, best chef/always in the kitchen trying to be mom, the boozey mom, already has everything mom or a combination, we can help you put something she'll love togerther! for the first christmas at congaree! shop the merry marketplace at congaree and penn. we'll be celebrating a congaree christmas with other local farmers and artisans, and treating good boys and girls (and ladies and gentlemen) to sleigh (hay) rides. don't forget your wish lists! santa claus is coming to the farm, too. you'll also find food, drinks, tastings and mini workshops at christmas at congaree. we encourage our guests to explore the farm! Join us at 217 FIRST for our inaugural Holiday Shindig! Sailors Siren, Drift and Violet Ray Vintage will all be pouring cocktails and offering discounts from 4-7. Sliders will have delicious bites to munch on over at 217 FIRST AND when you head across the street to have drinks and dinner afterwards and show your receipt from any of the 217 FIRST retailers from the event you'll get 20% off your bill. We know where the after party will be! Save the date! 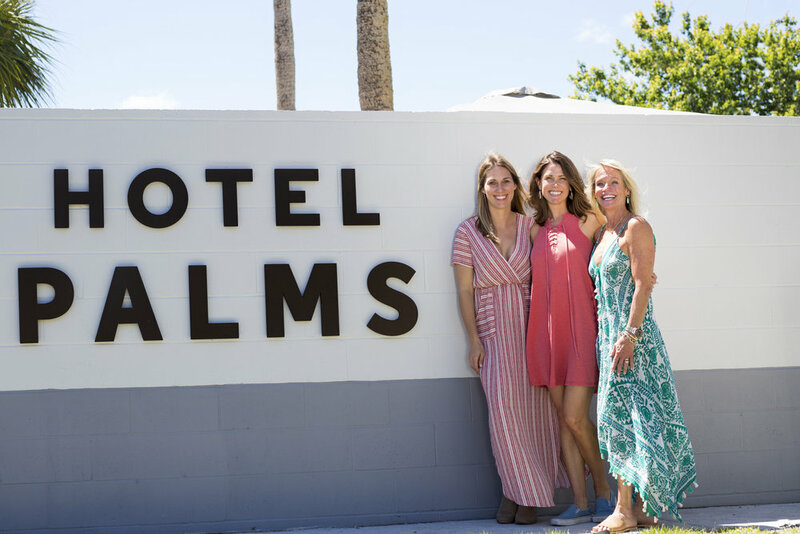 The Holiday Palms Market at Hotel Palms is happening again this year. We'll be rolling out all the details soon. This is not a dream! These beautiful creations are real! 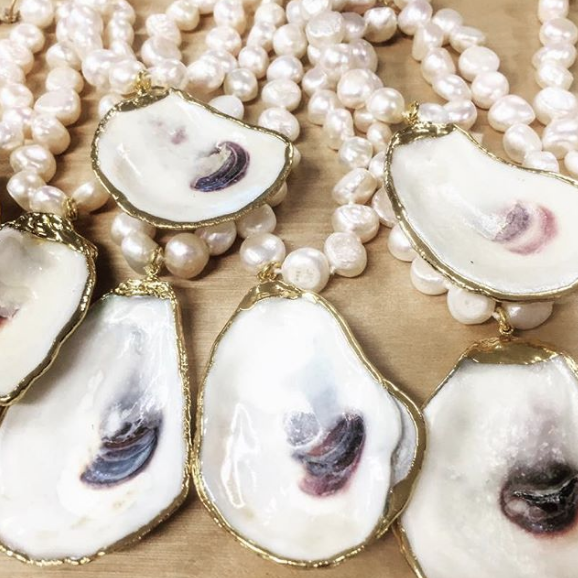 Megan Proctor, the creative genius and jewelry mastermind behind Sea + Stone and her mama, Velma, the behind the scenes doer of all things, are coming back for a two day holiday trunk show! Come shop the precious and semi-precious line for yourself or that special someone this holiday season. As usual with this crowd, the food and drinks will be flowing and a good time will be had by all! We will have all just returned from a weekend in Charleston at Garden and Gun's Jubilee and will be full of stories and laughs. Hope to see you in the shop for this amazing weekend! 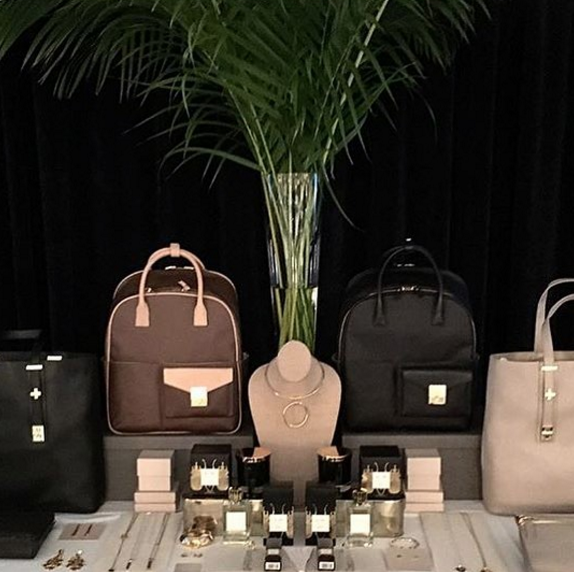 It's no secret that we're downright obsessed with India Hicks. When packing for a trip, decorating our homes or planning a party, "What Would India Do?" (or WWID?) is a regular point of topic discussed. She is one of our lifestyle muses and when she came out with her accessories and life line we were thrilled! The line is coming to the shop for an evening and you're invited to come shop! We just love this girl! 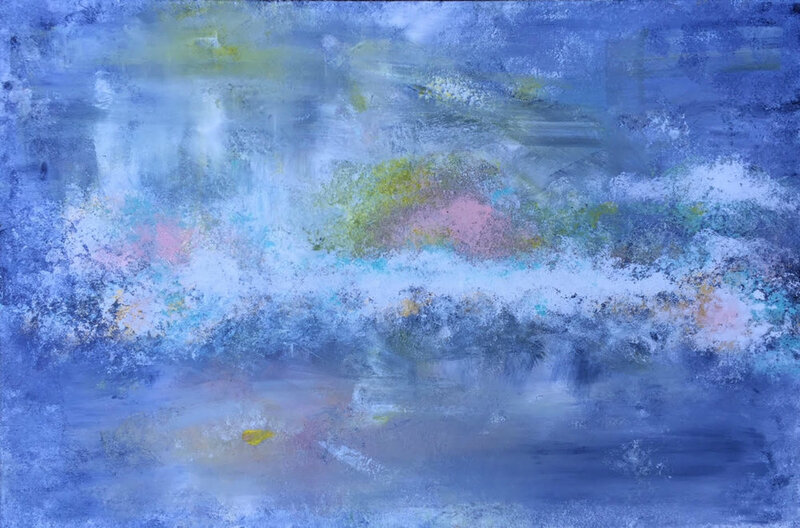 Come shop originals for the person who has everything, prints from her acrylic and water color collections and cards. 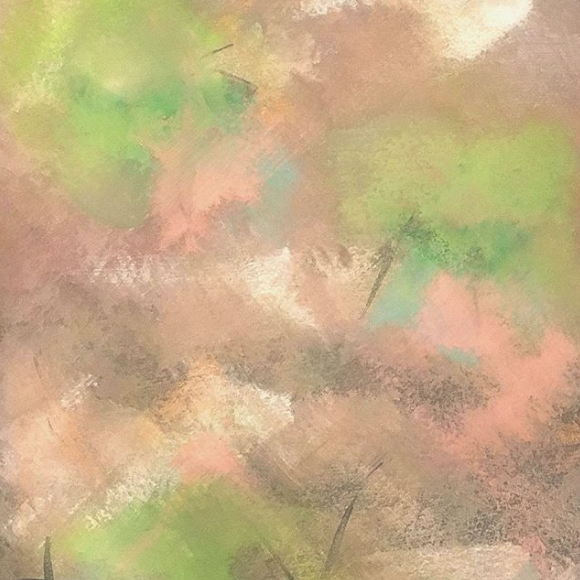 It's always a good time when local artist Maggie Puzey pops up!